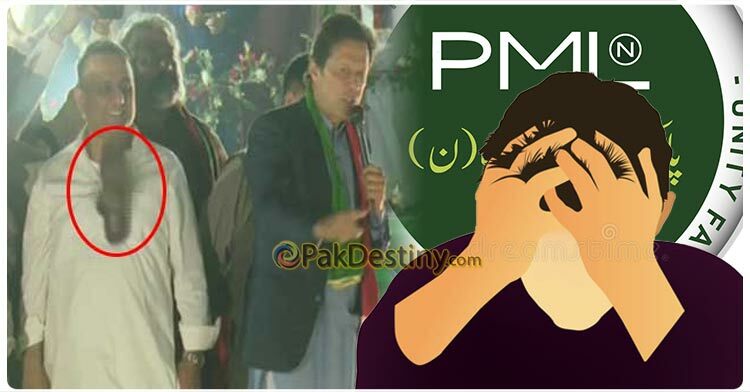 (Pak Destiny) Why PML-N is so desperate to hit Imran Khan with a shoe after its Quaid Nawaz Sharif tasted this humiliation on last Sunday in Lahore? The answer may be very simple – settling the score. But why the PML-N is forgetting that religious extremists were involved in the incidents of Nawaz and Khwaja Asif. PML-N cannot compare the same with the PTI. So PML-N should not think of venting out its anger on kumhiyar (famous saying… khotay da gusa kumhiyar ta). The PML-N tasked one of its matwalas (workers) in Faisalabad to target Imran Khan in Faisalabad and today in Gujrat. In both occasions Imran could not be hit. In the second place, PTI Aleem Khan had that shoe-shot at him. They will never be succeeded JISKO ALLAH EZZAT DETA HAY UNKO ADALAT SE SADIQ AUR AMIN KE TITLES MIL JATAY HAY.